How to buy the best large SUV - Which? Whether you plan to go off road or not, there's plenty to consider when buying a large SUV. Our expert guide will help you choose the best. Sales of large SUVs continue to boom as buyers enjoy the benefits of a high driving position and all-wheel drive. And there's an ever-increasing choice of off-roaders, SUVs (sports utility vehicles) and crossovers (smaller, more car-like models) available. These top-10 tips for buying a large SUV outline some of the factors to consider. To see the large SUVs that excelled in the Which? test lab check out our best large SUVs. 1. Do you actually need a large SUV? The most important question is: do you really need four-wheel drive? If you live on a farm, the answer is probably 'yes'. Four-wheel drive is recommended if you need to cross muddy fields, or if you regularly travel on unsurfaced roads or in adverse weather, too. However, if all you want to do is commute to the office or take the kids to school in town, there are other – more cost-effective – choices out there. For getting around safely in the winter, or for some extra traction and towing power without going for an all-out off-roader, you could also consider a 4x4 version of a conventional family-sized or large car, such as an Audi A4 Allroad, a Seat Leon X-perience or a Skoda Octavia Scout. Models like this may also have raised ground clearance and extra underbody protection to help you deal with rougher surfaces and tougher conditions. Most large SUVs are more expensive to buy than an equivalent saloon or estate car. 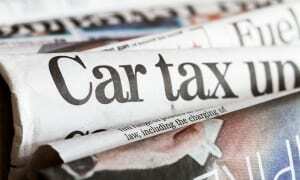 Fuel consumption, insurance, servicing and parts are typically costlier than for regular cars, too. Choose unwisely and your ongoing running costs could be astronomical. On the flip side, depreciation (loss of value over time) tends to be less severe for large SUVs than, say, saloon cars - especially if they have a prestigious brand name or a particularly desirable model. But you still need to do your sums carefully before you buy. And if you really want a high-riding go-anywhere car but are on a budget, you could opt for one of the supermini-based compact SUVs with four-wheel-drive, which offer suitably scaled-down costs: the Fiat Panda Cross, perhaps, or a 4x4 version of the Vauxhall Mokka. 3. 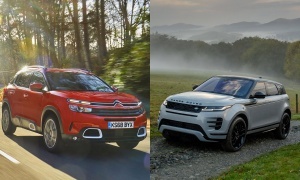 Diesel, petrol or hybrid large SUV? Most large SUVs sold in the UK are diesels, as they normally offer more reasonable fuel economy over the large petrol engines needed to power full-sized off-roaders. Modern diesels are generally very refined and offer plenty of torque (pulling power) – which is great for towing. Our petrol vs diesel calculator will help you work out the relative costs of petrol and diesel engines. There's also a trend towards hybrid large SUVs fitted with electric motors as well as conventional engines. These can have better fuel consumption and emissions than diesels, depending on the type of driving that you tend to do. The Lexus RX, for example, comes as a petrol-electric hybrid, while Porsche offers a hybrid version of its Cayenne. Peugeot's 508 RXH estate car is a high-riding diesel-electric hybrid with four-wheel drive. 4. Will my large SUV break down? Unfortunately, the sheer complexity of off-roaders means they often have far worse reliability records than hatchbacks or saloons. For example, the the least reliable car overall in the latest Which? Car Survey was an SUV. You can find out what it is by going to most reliable cars. It's worth considering a brand that offers a more generous warranty than the industry-standard three years and 60,000 miles. Kia's is the best in the business at seven years or 100,000 miles. Hyundai offers a five-year, unlimited-mileage warranty and Toyotas come with five years/100,000 miles of cover. Not all large SUVs are the practical workhorses you might imagine. Having lots of four-wheel-drive kit under the car's floor can lead to compromised interior space. Boot space in particular can be quite limited, and the fact that the load floor is high off the ground means you have to lift luggage up a long way. On the other hand, some large SUVs are genuine substitutes for a people carrier/MPV. Off-roaders available with seven seats include the Audi Q7, BMW X5, Hyundai Santa Fe, Kia Sorento and Mercedes-Benz GL. The days of ultra-basic off-roaders that you could hose out after a day's work are all but over. Modern large SUVs are much more like conventional family cars, or even luxury cars, to sit in and to drive. The Range Rover Evoque sums this category up well. Its striking styling and sporty road manners have made it a real hit with buyers. Choosing the right options is also important. Roof rails, parking sensors and cameras, and self-leveling suspension are all sensible. Large alloy wheels and body styling kits are probably less useful, but could prove more appealing to style-conscious buyers when it comes time to sell. 7. Are large SUVs gas-guzzlers? SUVs have acquired a reputation for being gas-guzzling monsters. Buy a V8 petrol-engined one and that might be fair analysis. But manufacturers are increasingly offering models that pay attention attention to economy, as well as CO2 emissions. However, if you're green-minded, large SUVs (even the hybrids) are not going to be top choices. Our latest research into the level of emissions cars really produce has shown that 95% of all diesel vehicles could not meet official Euro limits when faced with our much more realistic tests. The top 10 NOx creators are mostly large SUVs. If you need to do some proper off-roading, make sure you buy a proper 4x4. By that, we mean one with a low-range gearbox that allows the car to crawl over tricky terrain at very slow speeds. Locking differentials, which All-terrain tyres are important, too – regular road tyres are all but useless when the going gets rough. Our off-road stars include the Jeep Wrangler, Land Rover Discovery 4 and Toyota Land Cruiser. 9. When is a 4x4 not a 4x4? Answer: when it's a 4x2. There's been an increasing trend towards off-road-style cars that only have two-wheel drive. It's not only 'crossovers' or 'soft-roaders' like the Nissan Qashqai that can be bought with front-wheel drive; some more traditional-style 4x4s, such as the Kia Sorento and Volvo XC60 are also available as 4x2s. There is also all-wheel drive (AWD) rather than 'permanent' four-wheel-drive. This means power will only go to the front or rear axle (depending on model) when the car decides it is needed, and otherwise only power the one axle. This should help fuel economy, but even so, an AWD car will be far from the most efficient vehicle on the road. More and more cars are being developed with AWD rather than permanent 4x4, such as the current Toyota RAV4. Of course, some benefits of a 4x4 remain in two-wheel-drive SUVs, including the high seating position and better ground clearance, but you won't benefit from improved traction. On the other hand, the purchase price is usually lower and fuel economy is often significantly better. Since you'll probably be spending most of your time on tarmac, it's important to consider how your off-roader behaves on the road. Crossovers are almost always better as everyday transport than 'traditional' 4x4s. 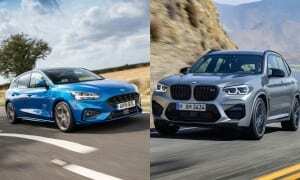 All the Audi and BMW Audi 4x4s are great to drive, and for on-road performance we also rate the Ford Kuga, Range Rover Sport, Volvo XC60 and VW Touareg.